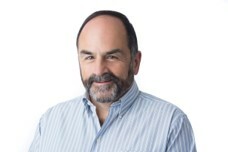 In this on-demand webinar, SANS Director of Emerging Technologies John Pescatore will show how to use the NIST CSF to make the leap to securing infrastructure-as-a-service (IAAS) and hybrid cloud implementations by selecting and integrating the most effective and efficient security services, including both native cloud security services and third-party controls. This webinar provides practical education to help you quickly identify the right use cases to prioritize for cloud security operations, as well as determine which specific technologies are needed to execute your security mission in the AWS cloud. In addition, the webinar includes SANS-led training on key cloud security operations, and how they align with the NIST CSF core to help you employ automated, innovative, and secure solutions to strengthen your cybersecurity posture. The SANS Institute was established in 1989 as a cooperative research and education organization. Its programs now reach more than 165,000 security professionals around the world—from auditors and network administrators, to chief information security officers—sharing the lessons they learn and jointly finding solutions to the challenges they face. AWS Marketplace is a digital software catalog that makes it easy to find, try, buy, deploy, and manage software that runs on AWS. AWS Marketplace has a broad and deep selection of security solutions offered by hundreds of independent software vendors, spanning infrastructure security, logging and monitoring, identity and access control, data protection, and more. These products can be integrated with AWS Services and other existing technologies, enabling you to deploy a comprehensive security architecture across your AWS and on-premises environments. Visit aws.amazon.com/marketplace to learn more.